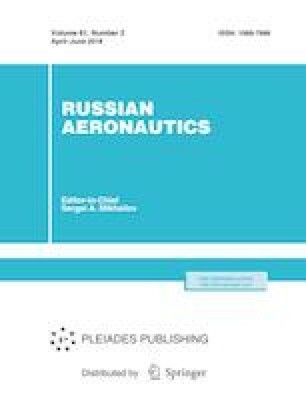 In this paper, the algorithm of automatic landing flare is designed based on the maximum coordination between the trajectories, which are convenient for the pilot to operate in manual mode and the one attained by the auto-landing system according to the algorithm of optimal flight control. Original Russian Text © V.T. Trinh, N.M. Nguyen, N.T. Dang, K.A. Nguyen, 2018, published in Izvestiya Vysshikh Uchebnykh Zavedenii, Aviatsionnaya Tekhnika, 2018, No. 2, pp. 71–79.